I love to capture the energy in a panel discussion, the personality of a speaker, the reality of an interview or just people having fun at an event. With almost 10 years of photographing hundreds of events for companies I know how important it is to deliver stunning images fast. Contact me if you are interested in my services. 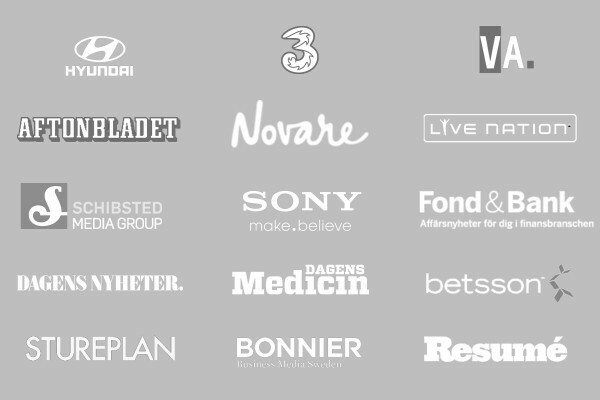 To the right you can find a few companies that I’ve worked with over the years. Below is pictures from events that occurred in the spring 2015.